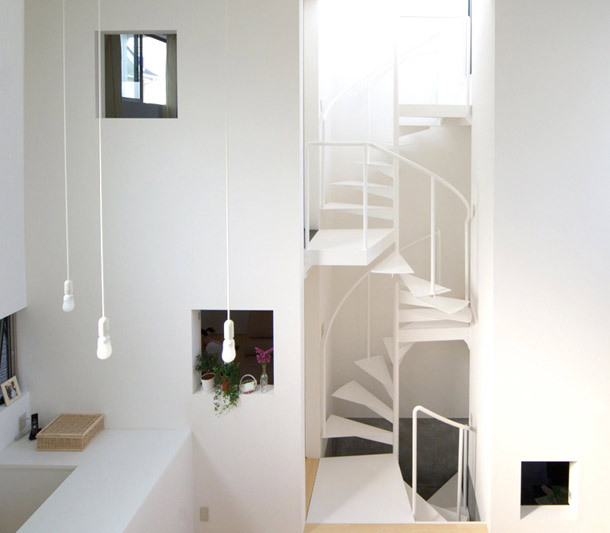 Layered House by Jun Igarashi Architects via arch daily. Image © Jun Igarashi Architects. 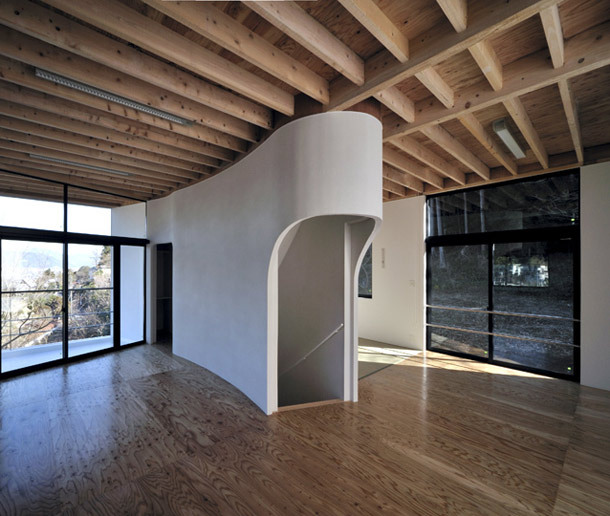 Gable house by FORM | Kouichi Kimura via arch daily. Image © Takumi Ota. ‘Mth’ house by aat+makoto yokomizo architects via designboom. Image © aat+makoto yokomizo architects. 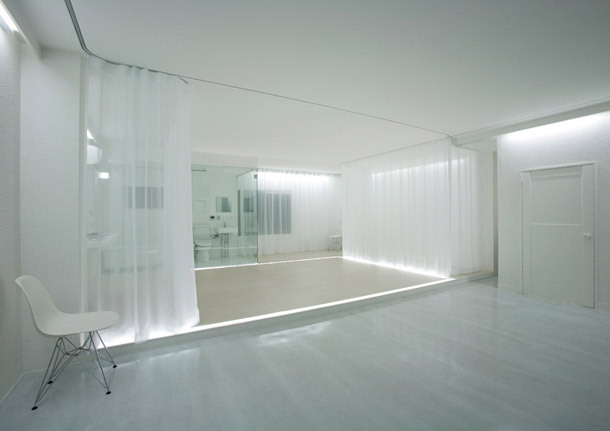 Apartment in Tokyo bySSCHEMATAvia home designing via arch daily. 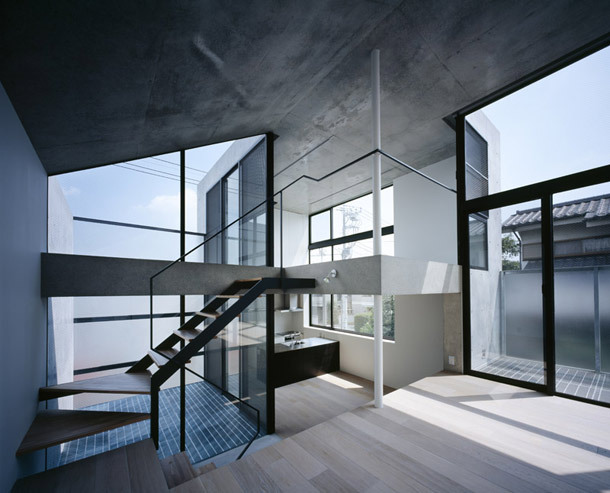 Knot House by Apollo Architects & Associates via arch daily. Image © Masao Nishikawa. ‘Hanegi G-House’ by Makoto Yamaguchi Design via designboom. Image © Koichi Torimura. 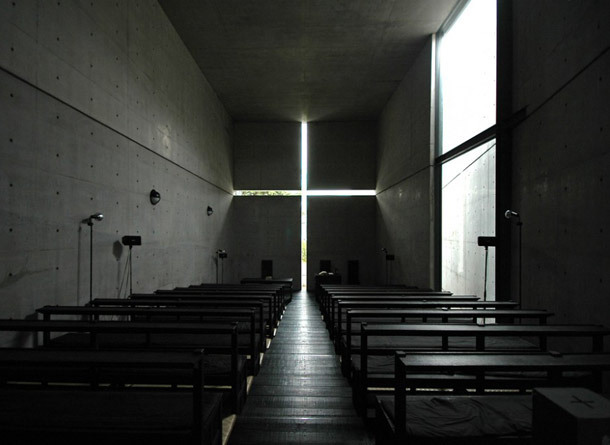 Church of the Light by Tadao Ando. Btw, this is definitely one of my favourite buildings I’ve ever visited. Viaarch daily. Image © Naoya Fujii. …I Think I’m Turning Japanese, I really think so. Ah. So much could be said about Japanese design and their aesthetic. Japanese sense of style is much loved and copied the world over, often fused with other elements and styles. But nobody quite knows how to do Japanese design like the Japanese. Funny that, innit? 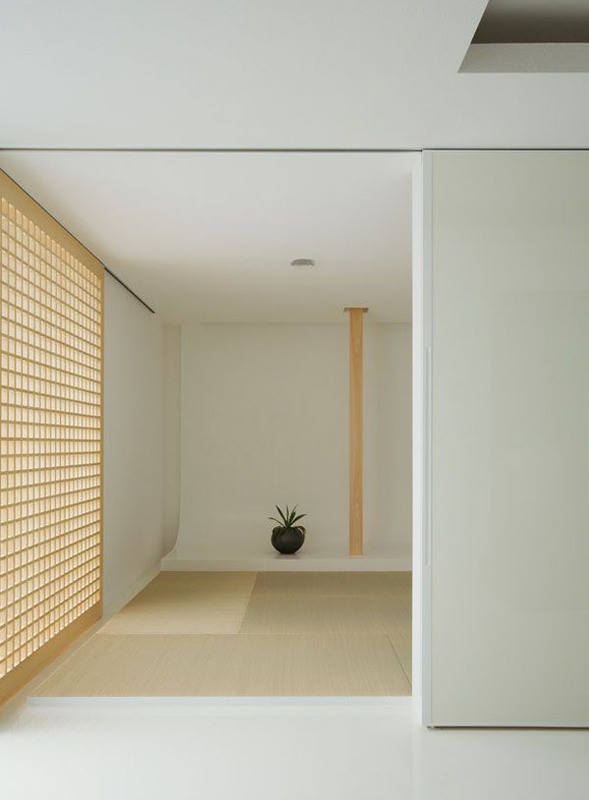 The driving force behind the minimalist and simple Japanese style is the comprehensive principal of Wabi-Sabi. I won’t pretend to be an expert on the topic, or to know too much about it. What I do know is that Wabi-Sabi is about an acceptance of transience, the imperfections and the cycles of nature. The approach is about finding beauty in the simple, natural, authentic and imperfect. The aesthetic is pared down to the barest essence, which creates pure and uncluttered outcomes. Clearly, like millions of others, I am a fan. To create a space which is harmonised and balanced without any visual clutter (that isn’t actually boring!) is not easy to do. The successful examples ultimately share highly resolved spaces with refined proportions and meticulous attention to detail. Above and below are several fine and recent examples of Japanese designs which caught my attention recently. Ok, Ando’s church is far from recent, but it’s one of my favourite buildings I’ve ever visited – perfectly proportioned, robust yet delicate, this supremely regal and serene interior can never be faithfully captured in any photograph. In fact, I think I can hear the cherubs. 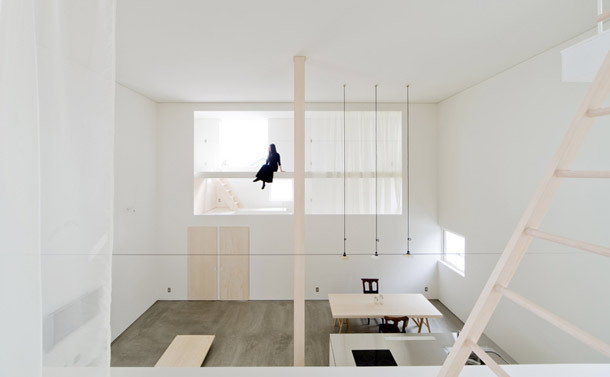 House in Hinomiya by TSC architects via designboom. lmage courtesy of TSC architects. 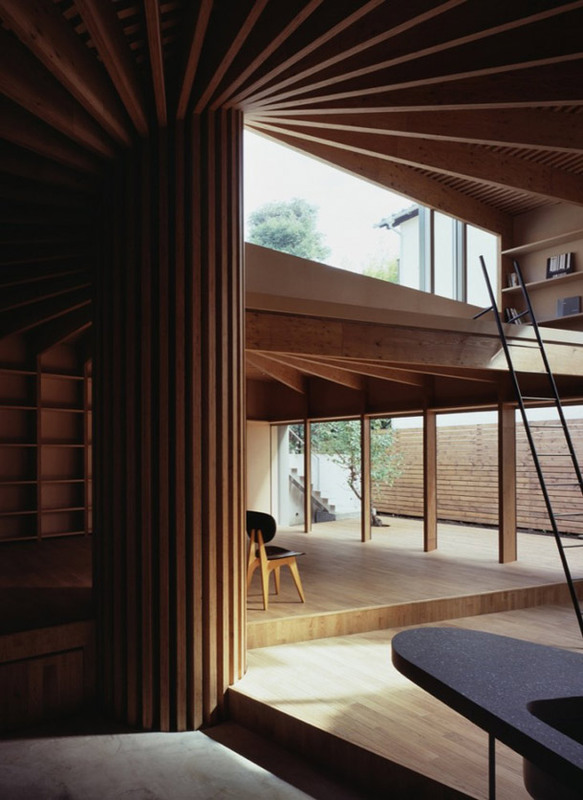 Tree House by Mount Fuji Architects Studio via arch daily. Image © Ken’ichi Suzuki. 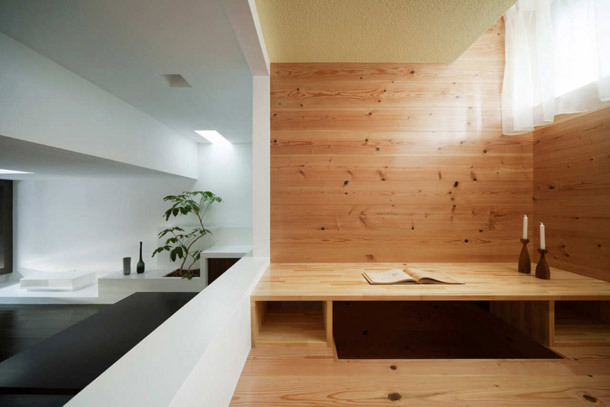 Bungalow in Iwate, Japan by Epitaph via dezeen. Images courtesy of Epitaph. ‘Matsugaya’ by A.L.X. 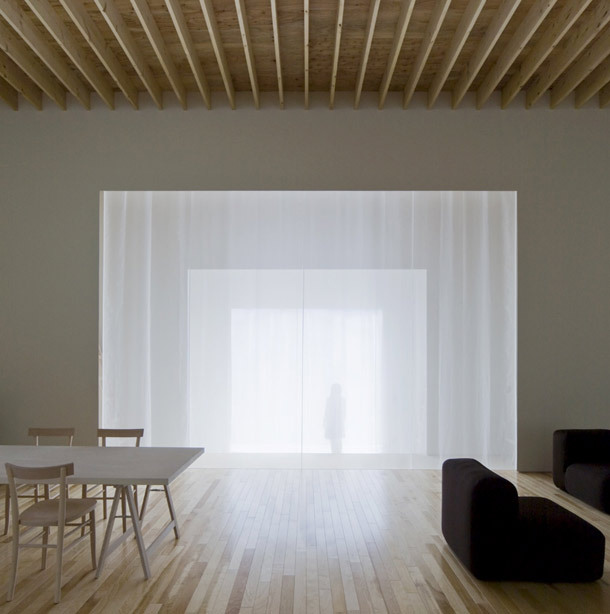 architects – a renovation of an office in downtown Tokyo. Via designboom. Image © Kouichi Torimura. 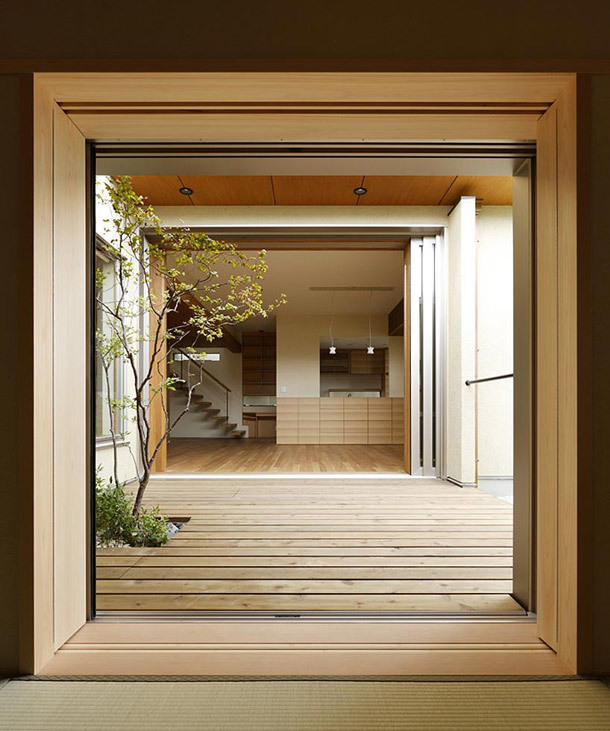 House of Trough in Hokkaido by Jun Igarashi Architects via designboom. 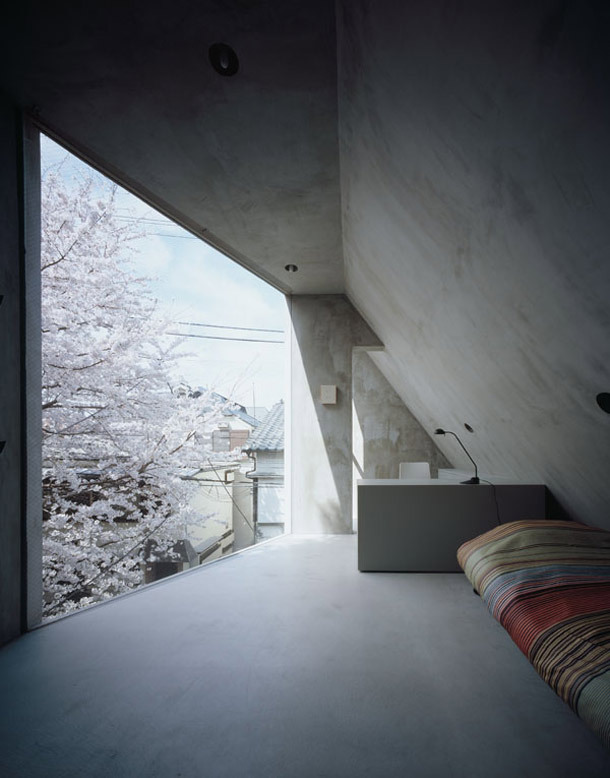 Image courtesy of Jun Igarashi Architects. Beat Pack house by Studio LOOP via arch daily. Image © Studio LOOP. 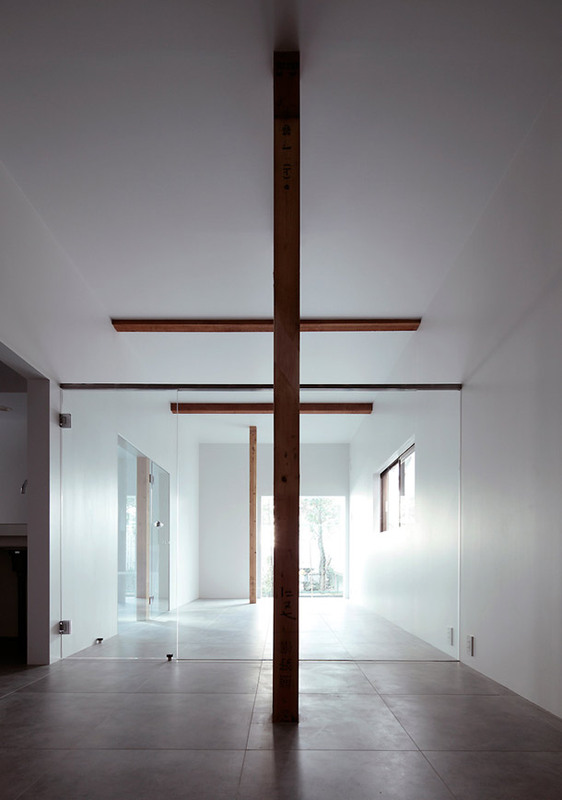 House of Depth in Shiga by FORM / Kouichi Kimura Architects. Via Contemporist. 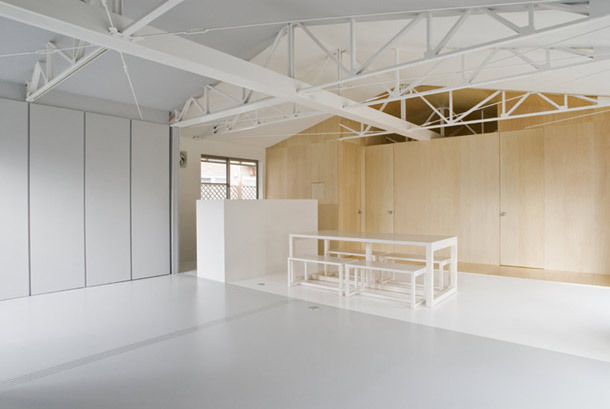 Tokyo apartment by Geneto via dezeen. Image © Takumi Ota. Sharing The L.O.V.E. | Art Mash-up. Paper Clothing by Violise Lunn. Great post Dana, you’ve opened my eyes to some new Japanese designers. In the mention of Wabi-Sabi, I would like to recommend a book to all those interested: “Wabi-Sabi for Artists, Designers, Poets & Philosophers.” It covers the topic nicely, in that after reading it you start to see Wabi-Sabi everyday, the book just helps with knowing what to look for. What is it about these images of Japanese design that makes my heart kind of beat faster? They are simply beautiful. I just got back from Japan so my head is still spinning from all of the mind-blowing design and art. We saw so much amazing stuff that we thought our heads would explode! Lets do a whole week of japanese….. that would be divine! The Japanese always make everything look so beautiful! Another great post Dana. I love everything Japanese…food, design, architecture my list could go on. But what a beautiful post. I am ready to move into the House in Hinomiya, the Tree House or the Tokyo Apartment. “Sabi” as the kind of beauty that can come only with age, such as the patina on a very old bronze statue”. I think in the western world we focus a lot on the physical charateristics of Wabi Sabi but sometimes forget the feelings/emotions that real Wabi Sabi creates. It is these that stir our soul and make us really conect to the space or item. That was beautiful. I’m not much about churches, however that building was so serene. The play on the theme of light and the cross was very clever. I have spent a bit of time going through your posts, more than I should have but I must say, many Thanks.